Limiting magazine capacity to 10 rounds, with exceptions for law enforcement and military personnel. 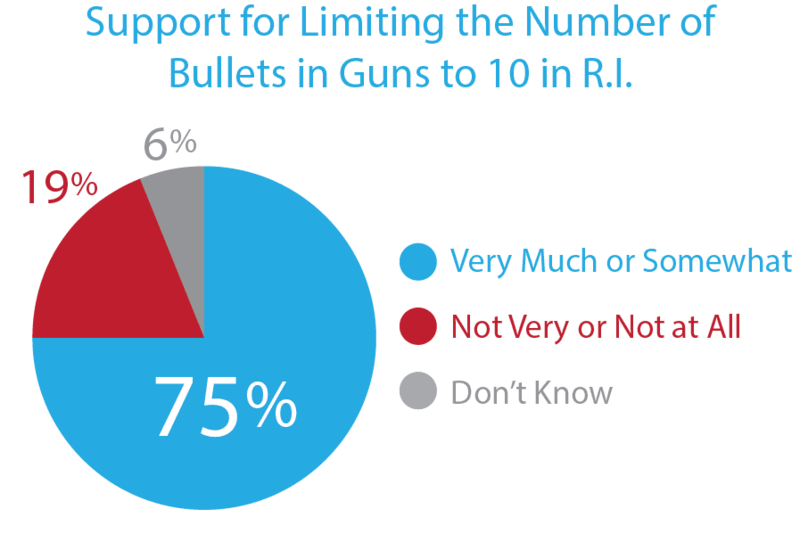 75% of Rhode Islanders support limiting the number of bullets in ammunition magazines to 10. A 2016 poll of R.I. Voters Show Strong Support for Limiting the Number of Rounds in Firearms to 10 Bullets. This act would criminalize the manufacture, import, possession, purchase, sale or transfer of any ammunition feeding device capable of accepting more than ten (10) rounds. Certain exemptions apply, such as for police officers and other officially recognized and sanctioned persons. Police officials report big increases in gun crimes involving high capacity magazines since the Violent Crime Control and Law Enforcement Act (commonly known as the “assault weapons ban” and included high capacity magazines) expired in 2004.
limit of rounds for hunting deer in R.I.
limit of rounds for hunting ducks in R.I.
limit of rounds for firearms in R.I.